Can you figure out which animal pieces belong together ? Make sure you match the front of the horse with the back of the horse, or youÂ´ll be making some funny animals ! 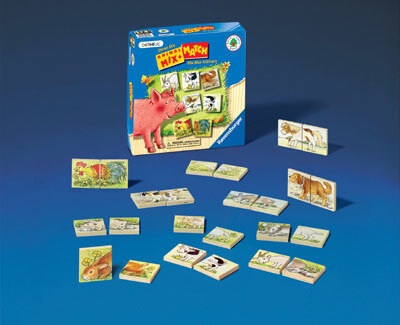 For extra challenge, place all of the cards face down and search for matching animal pieces. The player to make the most matches wins the game. What Do You Learn ? Recognition, association, memory skills.